Firstly it was great to meet some of the folks from the various Mailing Lists - Serena, Lorraine, Lesley, Bea and Tami who flew in all the way from the USA to attend the first 3 gigs. 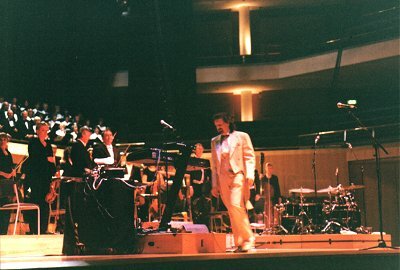 The Bridgewater Hall was virtually sold-out and the concert was to start off with Lou Clark conducting the Halle Orchestra along with the 80-piece Altrincham Choral Society. Four tracks were performed in total...... 'Under Pressure', 'We Are The Champions', 'Somebody To Love', and of course the one and only 'Bohemian Rhapsody'. A brilliant performance with the choir really adding to sound - 'Somebody To Love' was 'fantastic'. 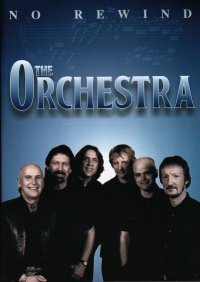 After a short break, the The Orchestra came onto the stage to rapturous applause (after all it has been nearly two and a half years since we saw the guys in their previous incarnation as ELO Part 2 performing in the UK). 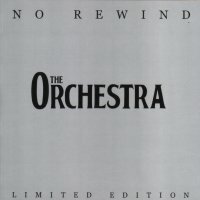 After the orchestral intro, the band launched into 'Jewel & Johnny', the lead track from the excellent new album 'No Rewind' (which is available at the gigs as a limited edition cd - PLUG - Buy this cd IT IS SUPERB!!!). A few highlights for me were obviously the new tracks, personal favourite being Erics reworking of 'Twist & Shout' which starts off very slowly, builds up to crescendo and slowly eases back to a slow ending - brilliant and which the audience responded with rapturous applause & cheering. Another favourite of mine from the new album was Kelly's composition 'Before We Go', a very moving song which Kelly sang beautifully and again the choir came into their own on this particular song. Other highlights included Gordon the drummer coming on stage to play the acoustic guitar whilst Eric, Kelly & Hux sang the Beatles classic tune 'Nowhere Man'. A few funny moments on stage included poor Eric 'lost it' completely during one of the songs, Mik was in fine form on the blue violin and Eric just couldn't keep up with the furious pace on the keyboards. Again, because this was the first concert of the tour, the guys seemed very confused at times as to what song they were performing next which led to much banter between audience and band. Due to the concert over-running the specified time, the guys dropped 'Standing In The Rain' unfortunately which is one of my favourite ELO tracks but hopefully I'll get to hear this at the Nottingham concert next week. The gig lasted for over two and a half hours and it was superb, and all credit must go to to both the band and a superb performance once again by the Halle Orchestra and the choir. Apologies for the lack of photos from the gig but this is entirely due to the 'jobsworths' at the Bridgewater Hall who decided not to let a lot of fans take photos!!! The only downside to an excellent day.